First cut a 4 1/2" x 9" piece of green card stock and fold it in half for the base, a 4 1/4" x 4 1/4" piece of burgundy for the front, a 1 5/8" x 4" piece of green for the large rectangle background, a 1 1/2" x 3 7/8" piece of patterned paper for the large rectangle, a 1" x 4" piece of green card stock for the small rectangle background, a 7/8" x 3 7/8" piece of patterned paper for the small rectangle, a 2 1/4" x 2 1/4" piece of burgundy for the bells background and a 2 1/8" x 2 1/8" piece of white for the bells. Then dry emboss the front layer with a Stampin' Up! 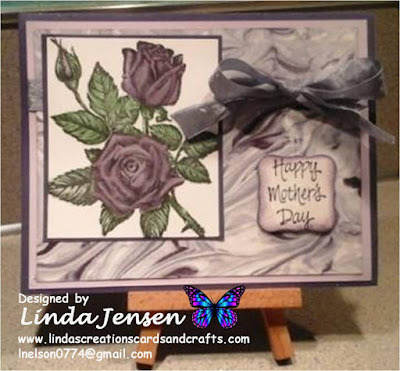 Petals A Plenty embossing folder and set it aside. Next using a Stamp a ma jig stamp the bells on the white square in Stazon Jet Black ink then color it with Spectrum Noir alcohol markers. The attach it to it's burgundy background. 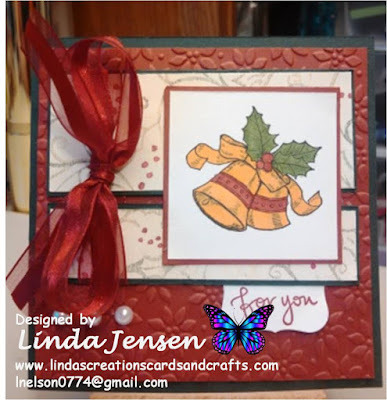 Next cut out the sentiment with a Spellbinders Labels Seventeen die and stamp the sentiment with a stamp from a Stampin' Up! 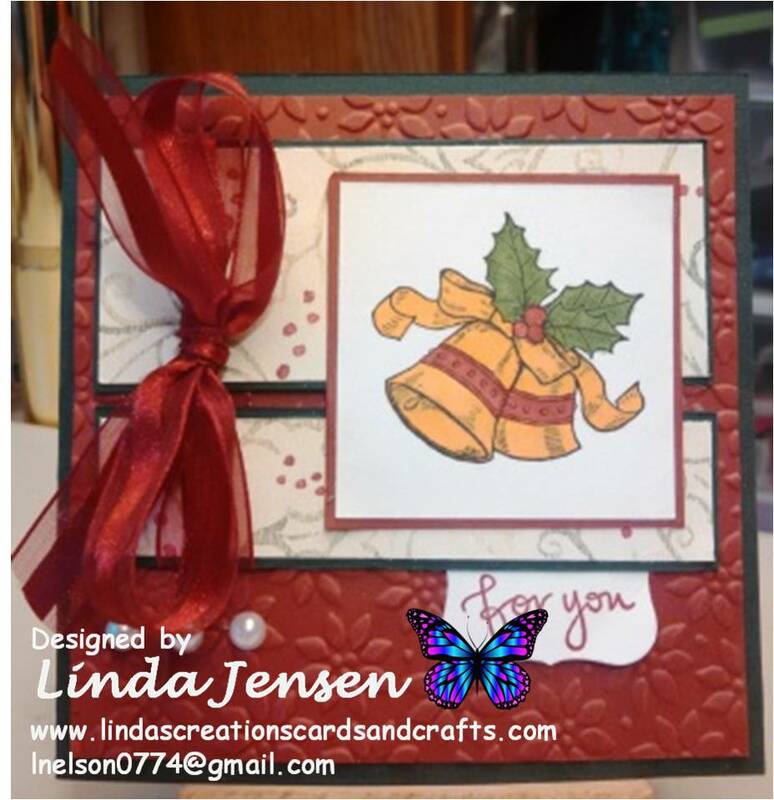 Great Friend set in Stampin' Up! Cherry Cobbler ink. Next tie the ribbon around the two patterned paper strips, attach the sentiment behind the smaller one and attach them to the front layer. Then attach the bells and self-adhesive pearls and the front layer to the base and enjoy!